The Hawaiian proverb I ka wā ma mua, i ka wā ma hope translates to ‘‘in the time in front, in the time in back,’’ telling us the future is behind us, because wisdom from the past is before us. In societies around the world, including in Hawai‘i, people have responded and adapted to challenging environmental conditions and disturbances over long time periods. For that reason, local and traditional ecological knowledge systems (TEK) are thought to be particularly valuable for responding and adapting to global climate change today. With funding from the PICCC, community members from Ka‘ūpūlehu (North Kona, Hawai‘i Island) and researchers from the University of Hawai‘i at Mānoa collaborated in a project called Learning from Local Ecological Knowledge to understand Climate Change Impacts and Preserve Key Cultural and Natural Resources in Ka‘ūpūlehu, Hawai‘i. This community-based research has multiple products and outcomes. One of these investigated the role of TEK in adaptation to social–ecological change over an extended time period. This included drawing on ethnographic and historical writings, Hawaiian language newspaper articles, legal documents, journals kept by missionaries and explorers, as well as the teachings from both traditional and more recently established mo‘olelo (oral histories) and ʻōlelo noʻeau (proverbs), and interviews with community members. This rich reservoir of wisdom helped us understand how coping strategies and indicators of social resilience have changed over time; the role of TEK in resilience; and the implications for climate change adaptation. 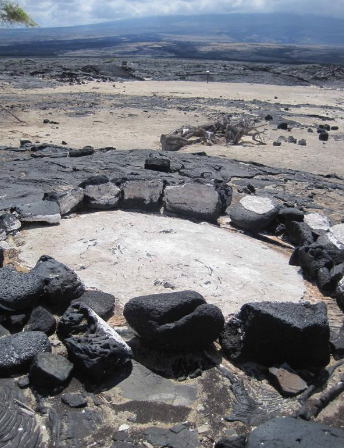 Naturally occurring and human-made salt collection pans like this one at Kalaemāno represent a traditional practice that supported people in a harsh environment. Salt was a resource that could be exchanged for goods with other communities and it also offered a means to preserve food locally. It remains an important resource due to its practical and cultural value. 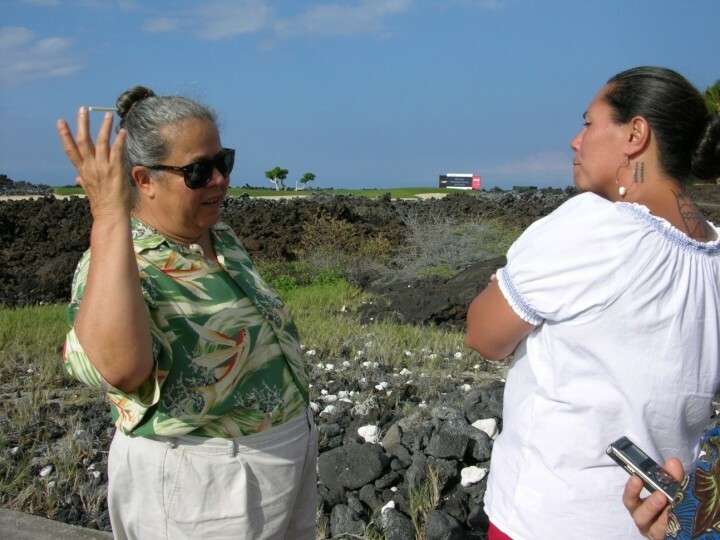 To help tell convey this diverse and large body of information, Hannah Springer and Ku‘ulei Keakealani, lineal descendants and community leaders in Ka‘ūpūlehu, had the idea to create a timeline telling the stories of the land and how people have responded and adapted to their environment over the generations. Aunty Hannah Springer and Ku‘ulei Keakealani talk about how previous generations knew how to thrive under hot, dry, conditions in a landscape with no above ground water flow and little arable land. With their guidance and with the involvement of other community members, the information was integrated into an innovative, interactive online “Timeline of Adaptation .” Viewers can click through the years, read about how people in the region responded to change, and listen to personal video accounts of community members describe important changes and events over time. 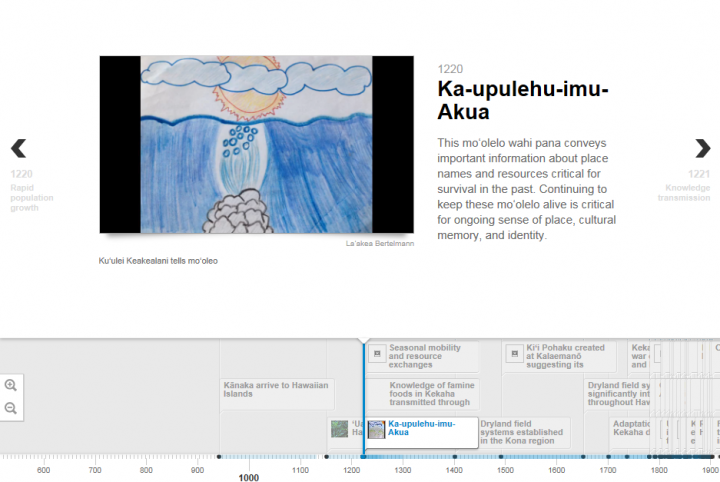 Screenshot from the online Timeline that includes video of a mo‘olelo told by Ku‘ulei Keakealani and illustrated by family members from Ka‘ūpūlehu. An important finding from this research is that TEK, cultural identity, and their relationships to environmental stewardship are locally seen as the basis for social resilience in this community, which means it is critical to understand TEK systems as alive and adaptive, not just a thing of the past that is set in stone. An article about this work recently published in Regional Environmental Change describes how these coping strategies based in TEK have themselves changed. Some practices — such as traditional weather forecasting, the storage of food and water, and seasonal mobility of residence — have decreased. Other coping strategies have maintained but adapted. These include livelihood diversification, knowledge transmission and storage, communal pooling of resources and labor, and maintaining a strong cultural identity. The findings emphasize the importance of considering multiple strategies together to promote community resilience. Understanding how people responded in the past can suggest relevant and culturally appropriate ways—through specific language, values, reference points, and indicators expressed in narratives, proverbs, and songs—of situating climate change and framing adaptation planning. This research describes that TEK is vital for adaptation to environmental change broadly and climate change in particular, for subsistence-based, indigenous, rural communities, as well as place-based communities living in mixed economies. Thus, it is relevant for the larger Pacific Islands region and other areas that represent a continuum from rural-to-urban and traditional-to-global economies and lifeways. This research also demonstrates that designing meaningful adaptation strategies requires close partnerships with communities and community-based approaches so we can move forward (back) into the future together.